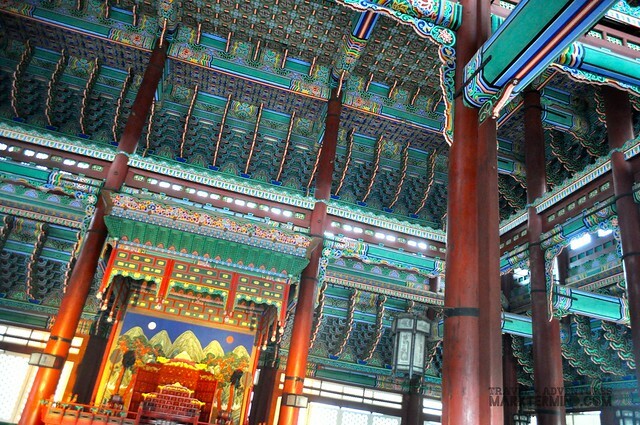 If there’s a landmark that can easily identify what South Korea is, then for me it’s the palaces. 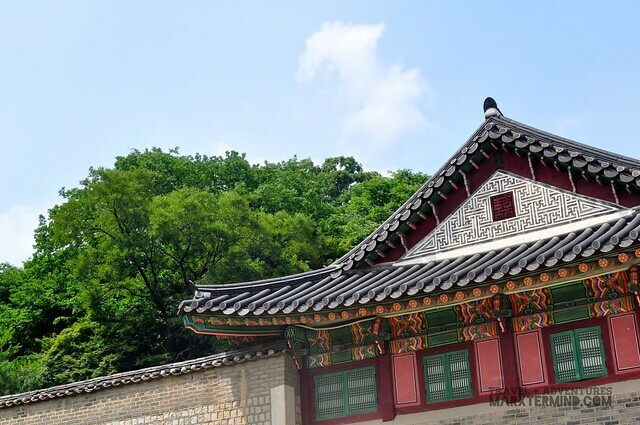 These structures are prominent in the country where five of which are situated in the city of Seoul. It is very impressive that despite of modernization in the city the palaces are remarkably preserved and still look majestic as they were. 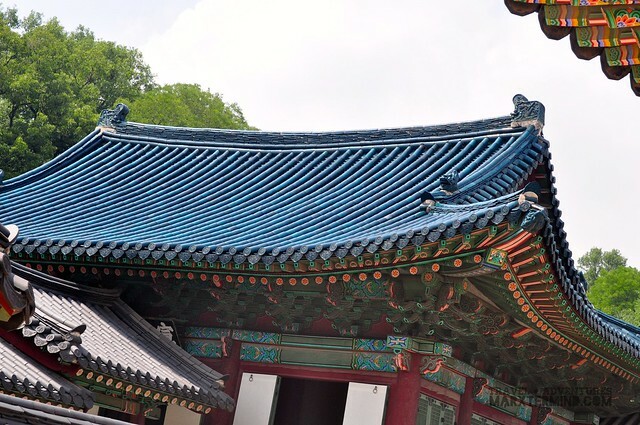 Although there were no longer living royalties in the country, a visit to the palaces is one grand experience. 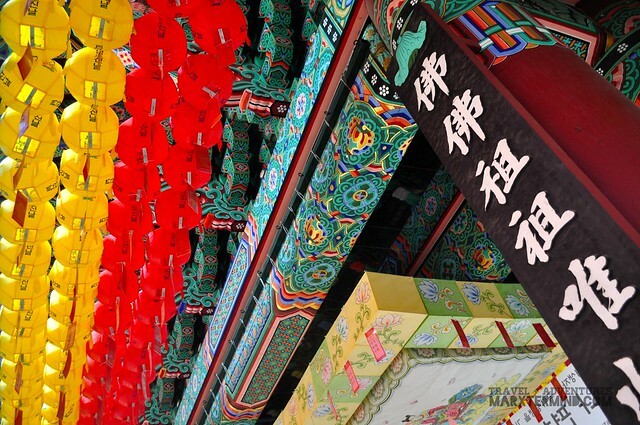 It shows a sense of undying beauty and culture of the ancient Korea. A day is enough to see the palaces. 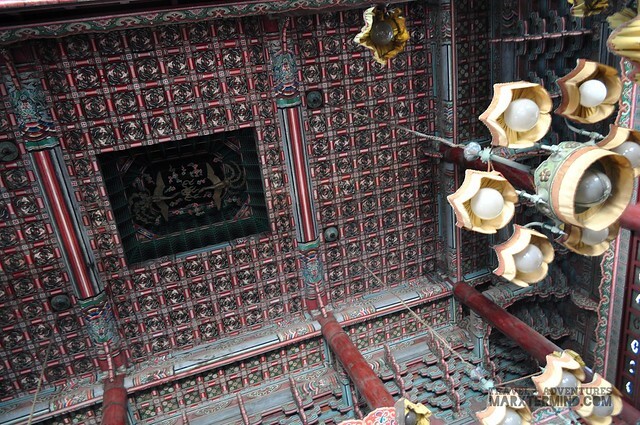 However, seeing all of them might be overwhelming so amongst the five grand palaces I had decided to visit only two. 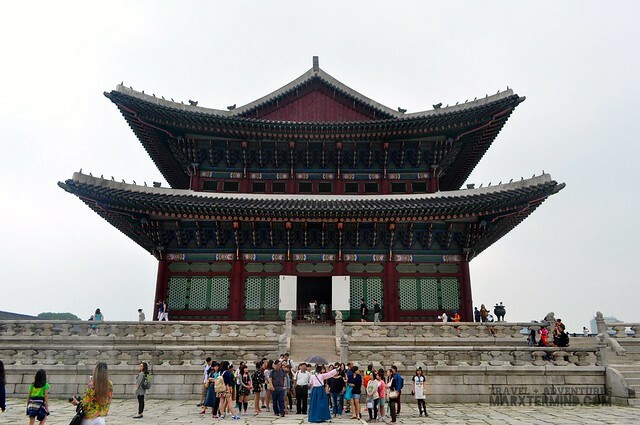 I joined Seoul City Tour in their Full Day Palace Tour that consists of visiting some of the palaces as well as important tourist spots situated in the city. 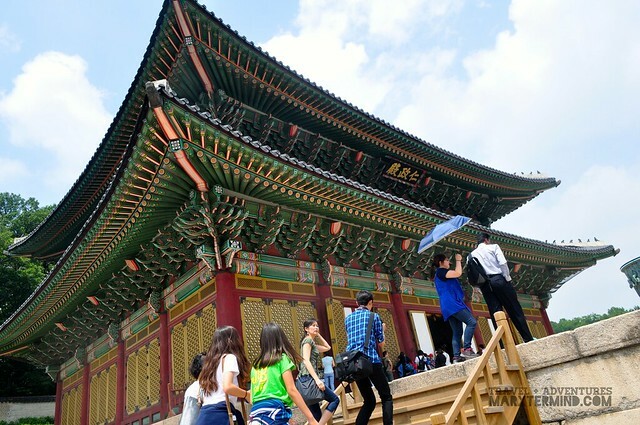 I find Seoul City Tour a great company to join to because of its desirable tour packages. I don’t usually join group tours but reading about how outstanding their tour services are made me decide to join their palace tour. Add the convenience and companions; group tour seems to be great in any case. The tour starts at 9:00 AM and usually ends at 4:00 PM. Talking about convenience; joiners of the tour are being picked up and dropped off from and to their hotel. Joiners are then assembled at the first tourist spot. I came early to our assembly place. I went inside the complex to kill time. Few minutes had passed; our tour coordinator, Michelle, then gathered us. She introduced herself and perkily discussed the tour and our itinerary for the day. 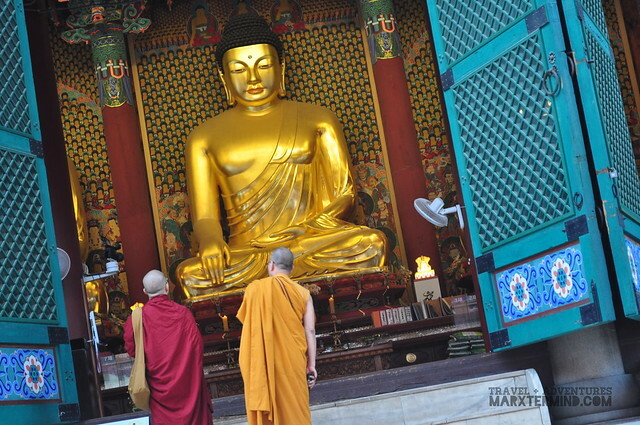 After a while, we were then given a liberty to see the temple. 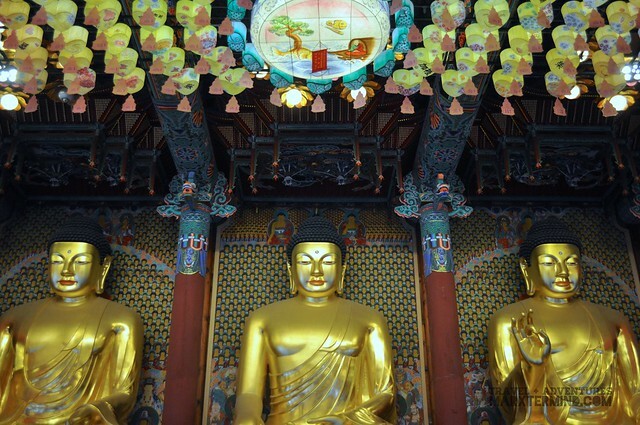 Jogyesa (Temple) is the headquarters of the Jogye Order of Korean Buddhism. The Main Hall is open 24 hours to all public allowing visits of both local and foreigners. 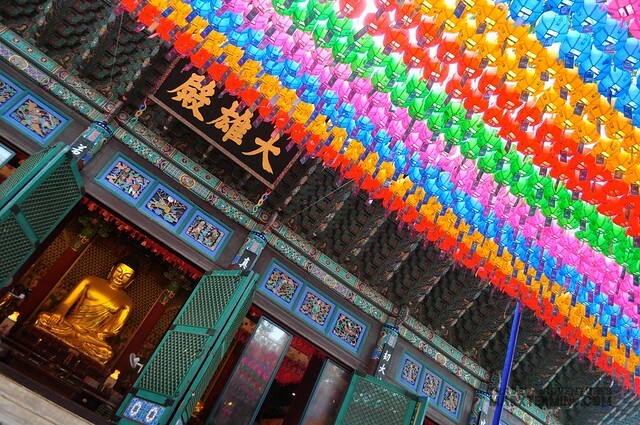 It is said that the temple is promoting itself as an open space, inviting all to the temple’s events and ceremonies. 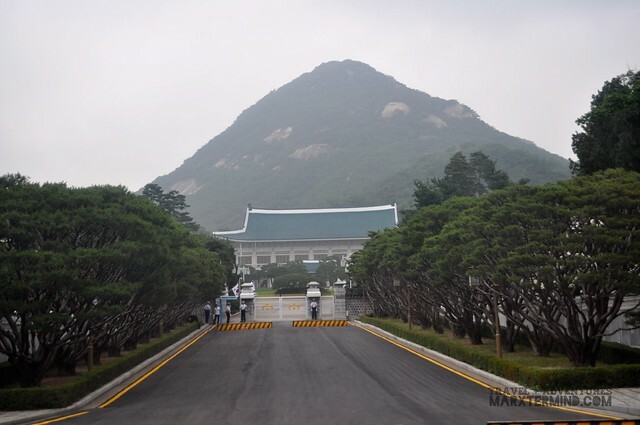 The Blue House is the executive office and official residence of the South Korean Head of State, the President of the Republic of Korea. 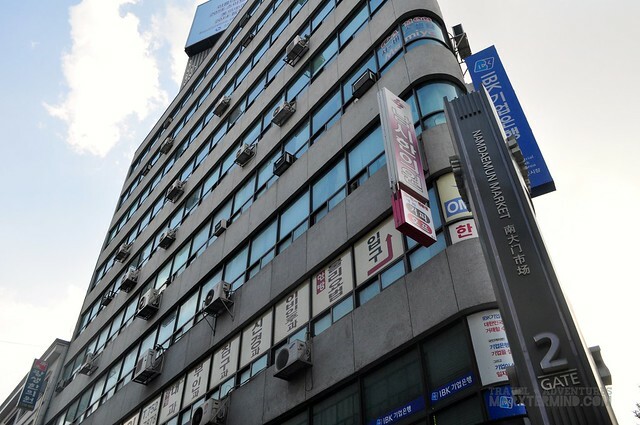 The structure is located in the capital city of Seoul. 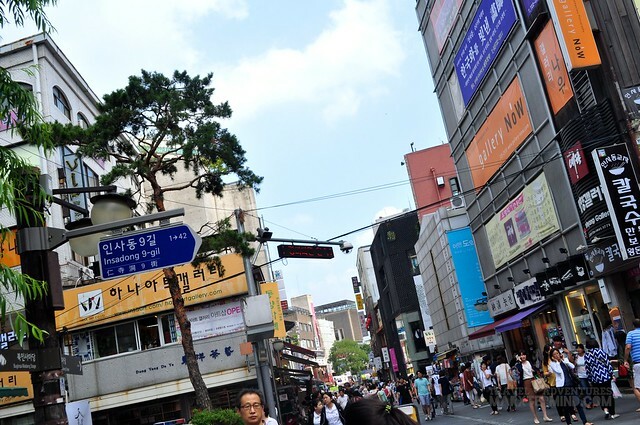 In fact, it is a complex of buildings, built largely in the customary Korean architectural flair with some modern features. We only passed by the complex as visiting the complex may take time. 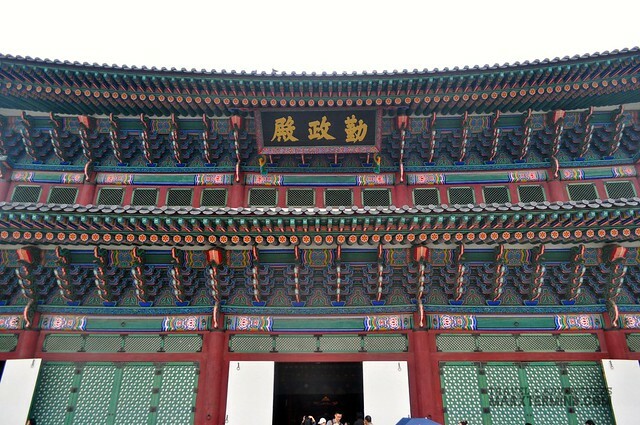 Our tour focuses on the palaces so passing by the Blue House was an extra treat for us. 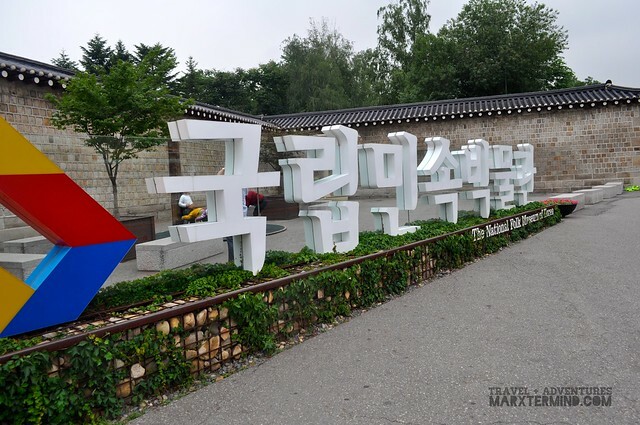 National Folk Museum of Korea is a national museum of South Korea, situated within the compound of the Gyeongbokgung Palace in Jongno-gu, Seoul. 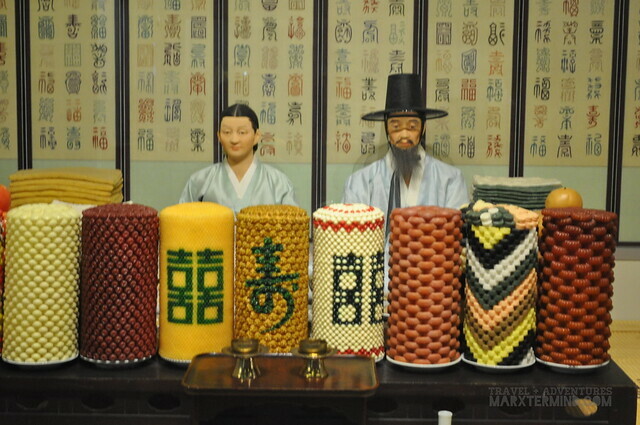 The museum uses replicas of historical items to demonstrate the history of traditional life of the Korean people. 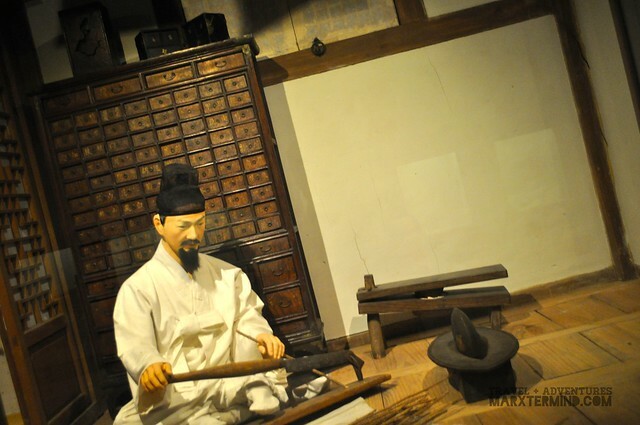 The museum presents over 4,000 ancient relics that were used in the daily lives of ordinary Korean people. By visiting the museum, we were marginally immersed with previous domestic and agricultural way of life of the country. 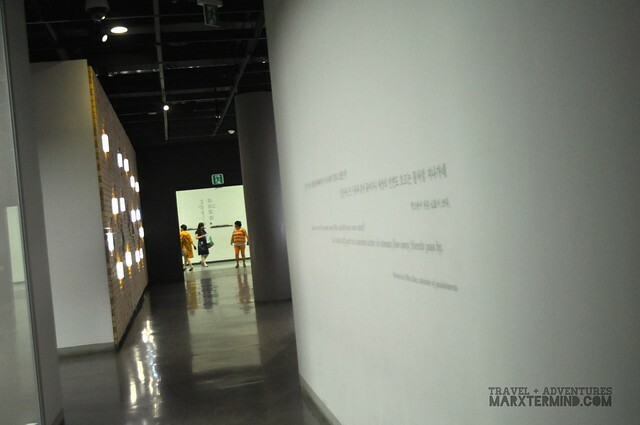 Seeing the museum also let us had a glimpse of Korea’s cultural beliefs. 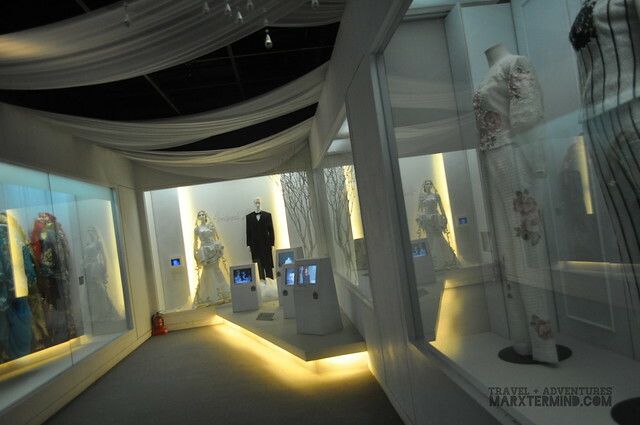 The museum has exhibits from all parts of Korea. It also has a library, souvenir shop, and other subsidiary facilities. 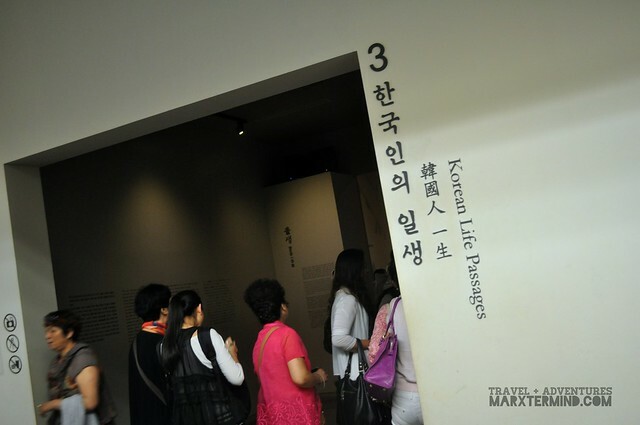 But if you have a tight schedule, the Korean Life Passages is the must see among the exhibits. 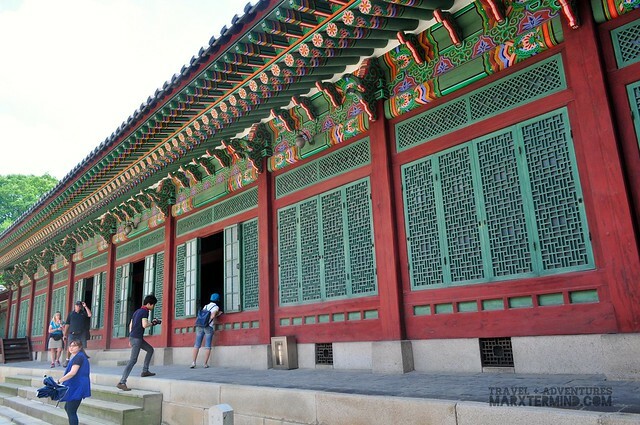 Admission to the museum is free if you visit Gyeongbokgung Palace. 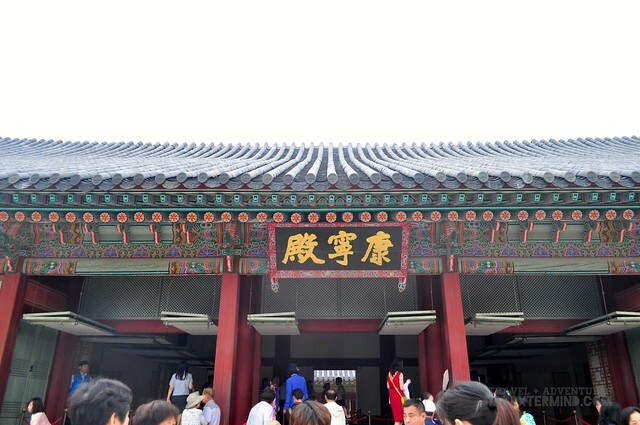 Guests have to purchase a ticket at the Gyeongbokgung ticket office. The museum is open from 9:00 AM to 6:00 PM. 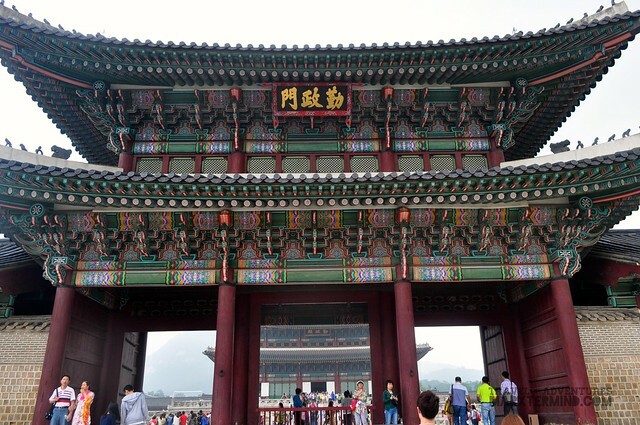 After a short visit to the national museum, we then had proceeded to Gyeongbokgung Palace. 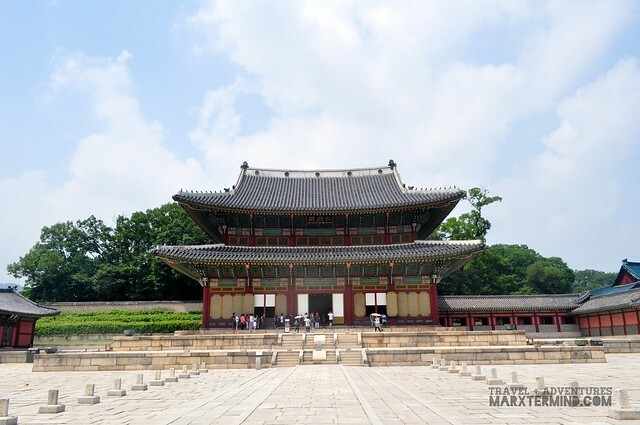 Gyeongbokgung Palace was the first royal palace built by the Joseon Dynasty and served as the main palace of its dynasty. 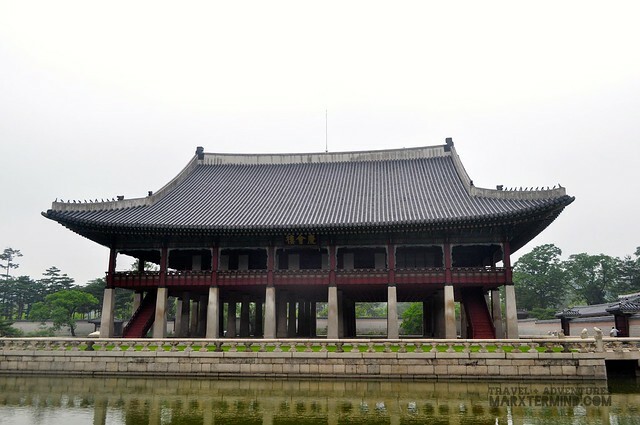 Gyeongbokgung Palace was also the largest among the five grand palaces in Seoul. 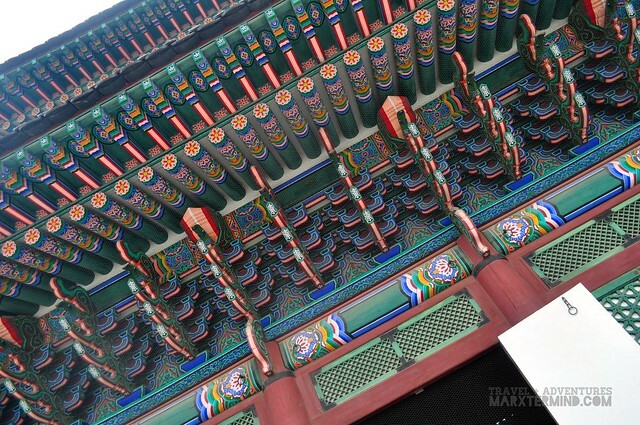 Gyeongbokgung Palace is perhaps the most beautiful and the grandest of all five palaces. 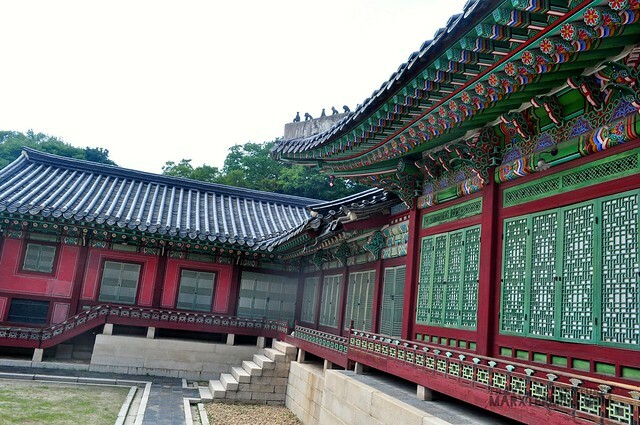 Admission to the palace costs KRW 3,000 per person. The complex is open from 9:00 AM to 6:00 PM. After exploring the palace compound, we then proceeded to the main entrance gate to see the changing of guards’ ceremony. 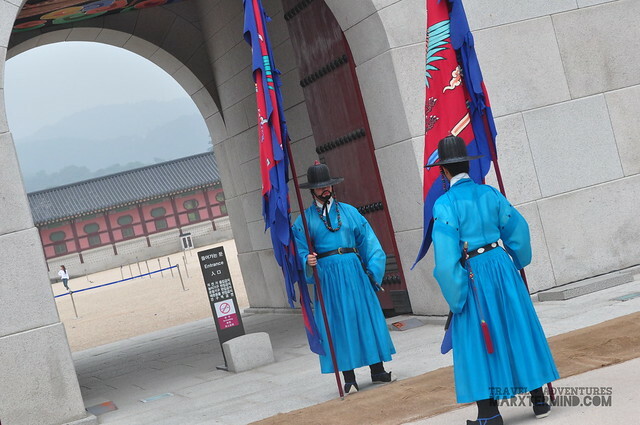 This ceremony is one of the highlights when doing a palace tour. 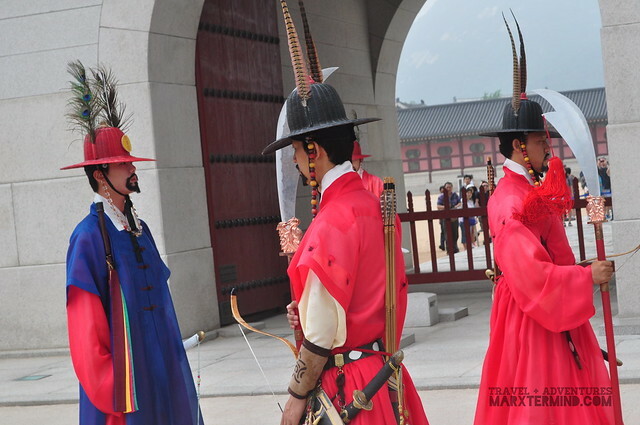 Seeing the changing of guards is a great opportunity to witness a rare traditional scene in Korea. 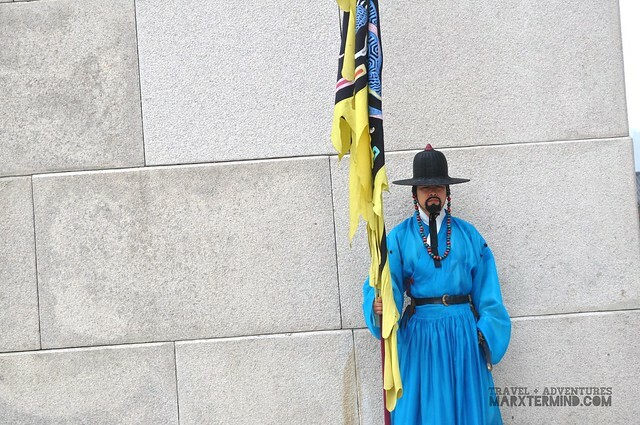 The grand costumes, with their vivid primary colours, are a genuine pleasure to see. 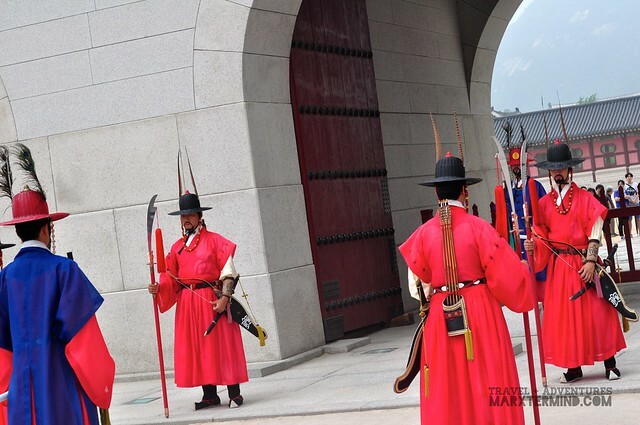 The royal changing of the guard ceremony happens in front of the main gate every hour from 10:00 AM to 3:00 PM. 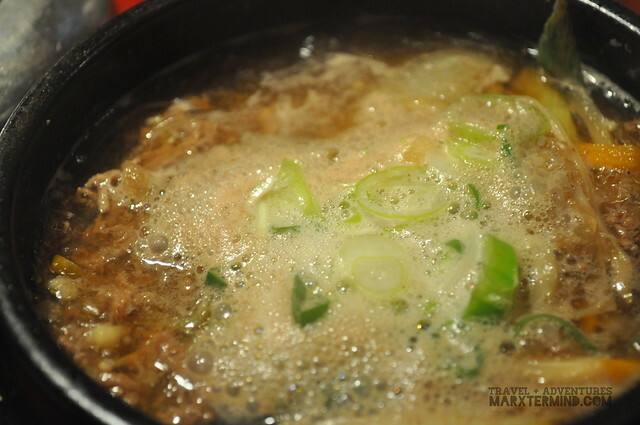 Part of the package that I availed was a Korean traditional food for lunch. 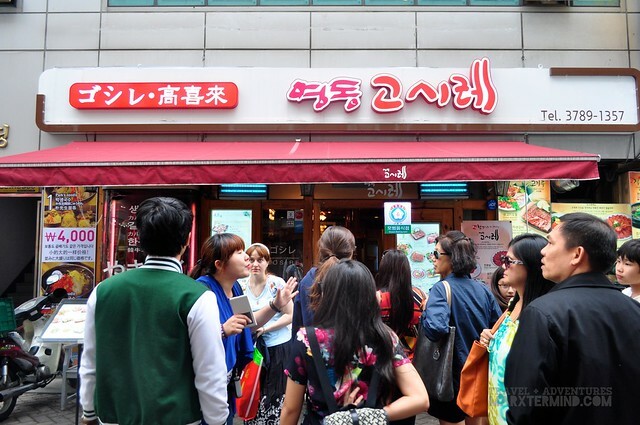 Our group had our lunch in one of the restaurants located in Myeong dong. I had Beef Bulgogi that came with complimentary side dishes. Bulgogi literally means “fire meat”. The dish is thinly sliced or shredded beef marinated in soy sauce, sesame oil, garlic, sugar, scallions, and black pepper, cooked on a grill. 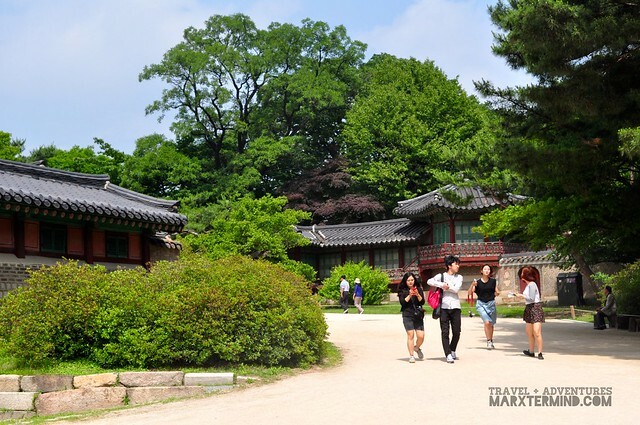 Changdeokgung Palace is part of the five grand palaces in Seoul. 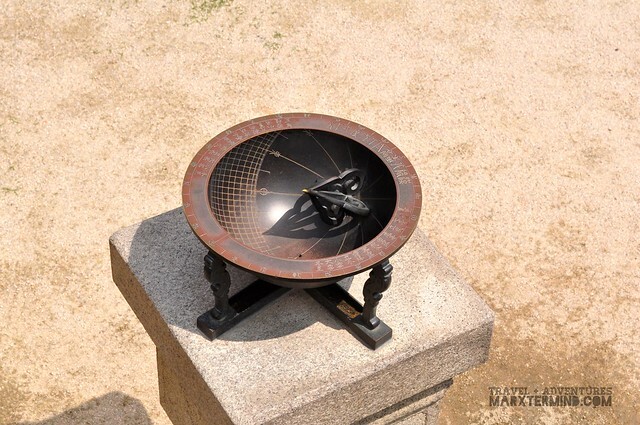 It is located within a large park in Jongno-gu, Seoul. 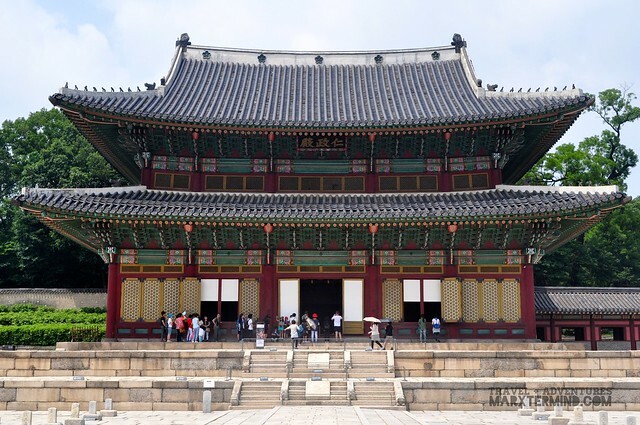 The palace was said to be the second royal villa built following the construction of Gyeongbukgung Palace in 1405. 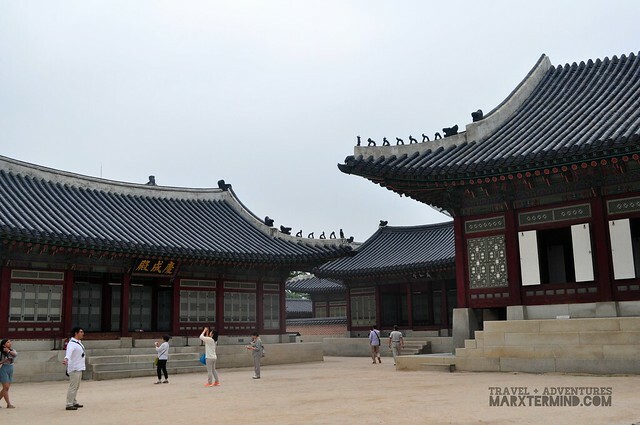 It was also said to be the principal palace for many of the Joseon kings. 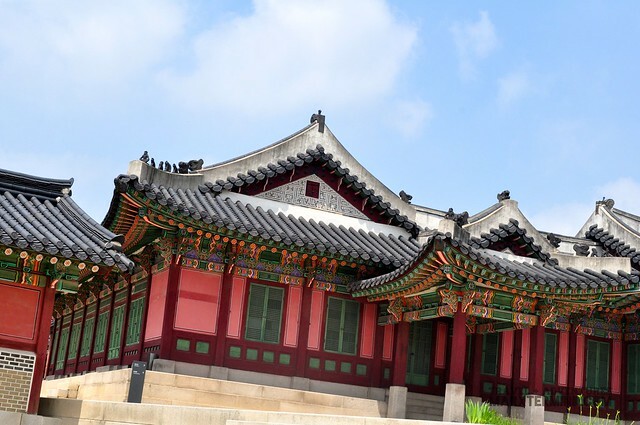 The palace is the best preserved of the five remaining royal Joseon palaces. Its ground consists of a public palace area, a royal family residence building, and the rear garden. The rear garden boasts a gigantic tree that is said to be over 300 years old. It also has a small pond, and a pavilion. 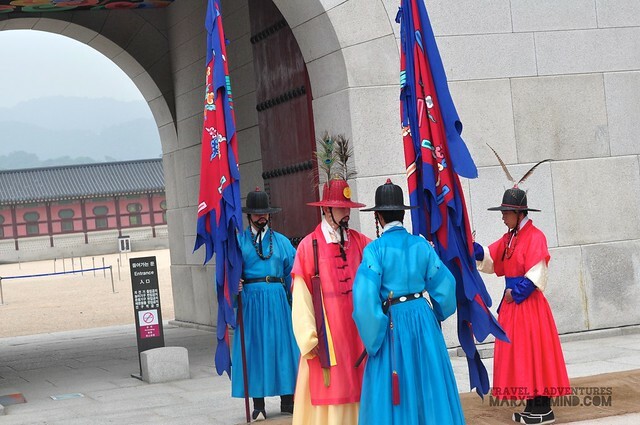 Admission to the palace costs KRW 3,000 per person. The complex is open from 9:00 AM to 6:00 PM. 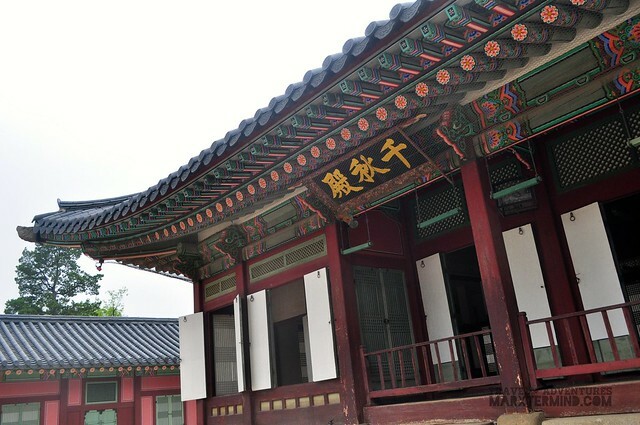 Visitors of the palace can take between two tours inside the complex: the general tour or/and the Huwon (rear garden) tour. 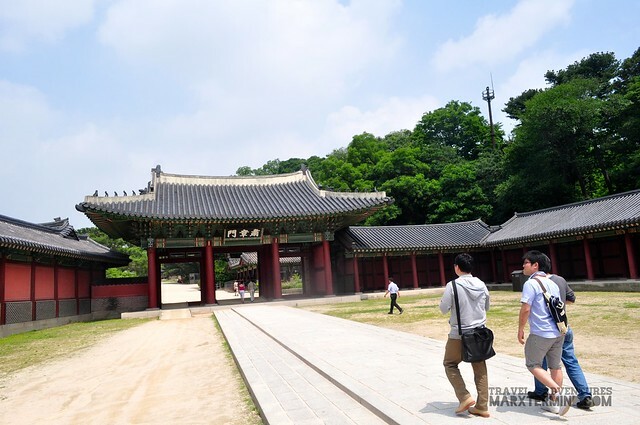 The general tour is admitted only to the palace, but guests are permitted to explore without a tour guide, although guided tours are also available in English, Chinese and Japanese that comes in schedule. 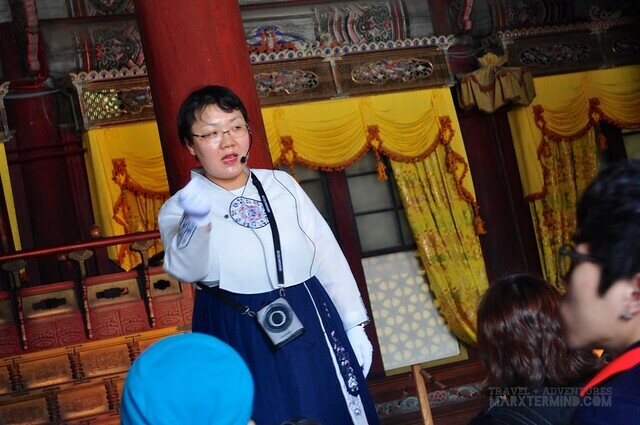 The Huwon tour is a sightseeing tour inside the secret garden that needs to have a tour guide. Only limited number of areas can be accessed during the tour. This tour comes in schedule. 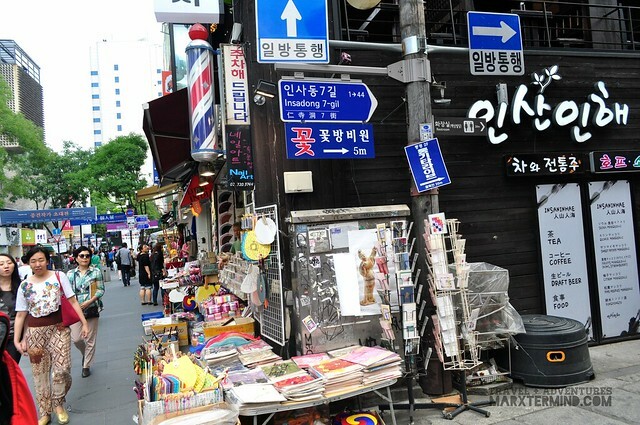 Insadong is a favourite stop in Seoul for tourists looking for a perfect gift or souvenir to take back home. The street is lined up of souvenir shops as well as genuinely ornamented teahouses, high-end antique galleries and delightful restaurants. 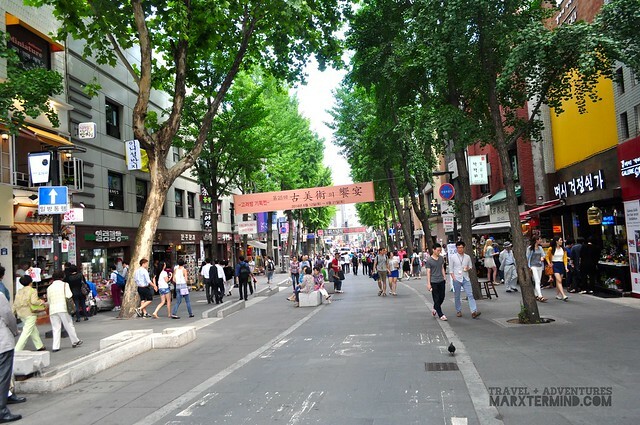 The street is one of the most memorable attractions in the city. 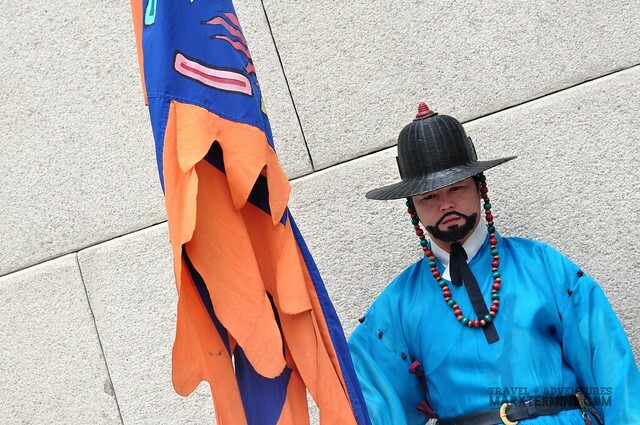 It embodies the central point of Korean traditional culture and artistries. 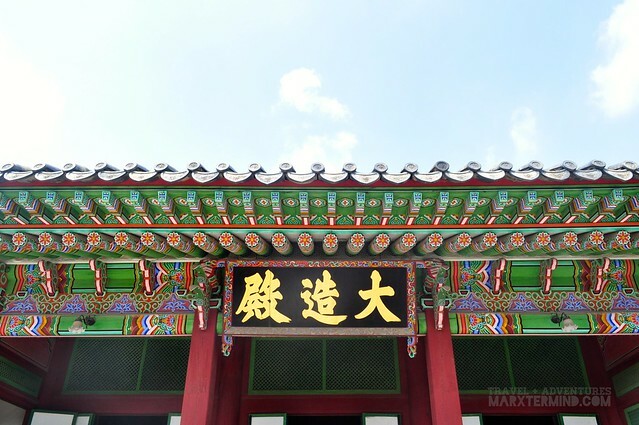 The stores are specified in a wide variety of goods that can only be bought or appreciated in Korea like Hanbok (traditional clothing), Hanji (traditional paper), traditional teas, pottery, and folk crafts. 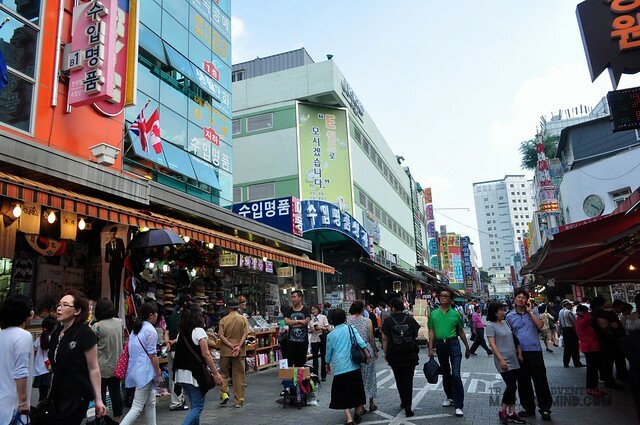 Namdaemun Market is located in the centre of the city. 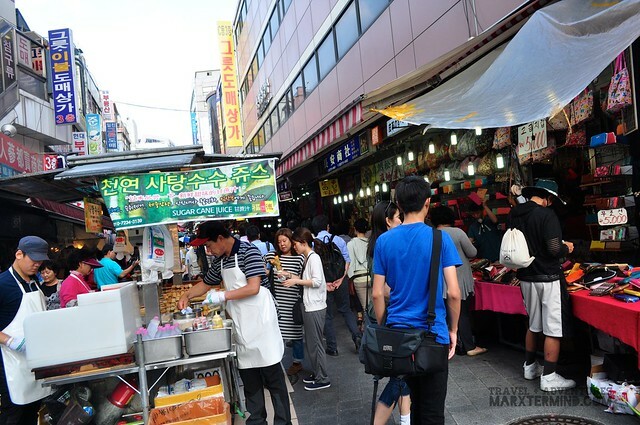 It was said to be the oldest and largest traditional market in South Korea that sells clothing, miscellaneous goods, kitchenware and other local and imported products. Here, shoppers may get any product at the cheapest price. Operational hours vary by store. 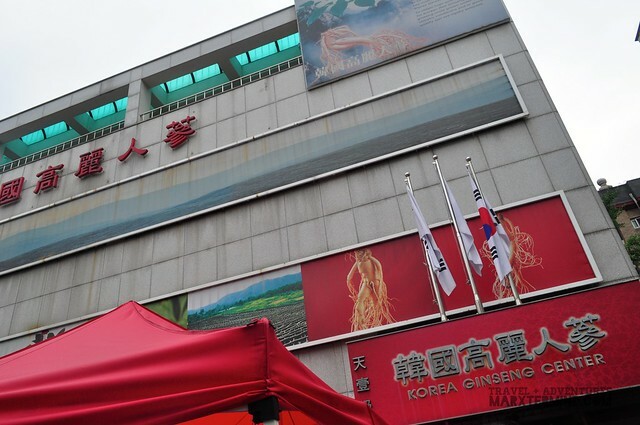 Part of our itinerary for the day is a short visit to Ginseng Center and Amethyst Factory. 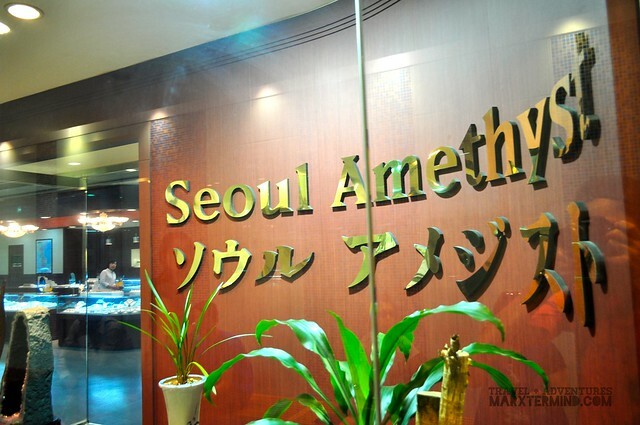 Inside these shops, guests are given with an overview about ginseng and amethyst. After a quick overview, visitors are given a time to see the products and buy something to take back home. The products in Ginseng Center are duty free. Visiting only two amongst the five grand palaces in Seoul was enough for me to recognise how noble and royal the ancient city was. 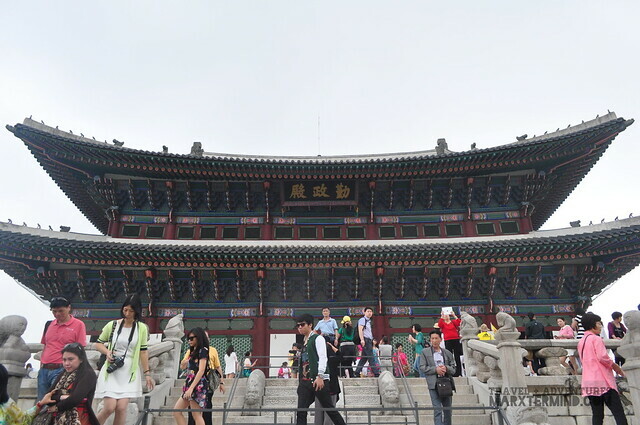 Seeing other important tourist spots in Seoul complemented my experience in appreciating how magnificent the city is. 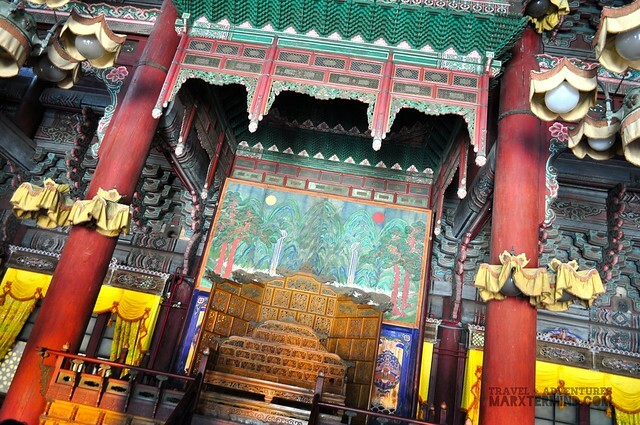 Truly, Seoul City Tour is one of the best city tour companies in Korea with experienced travel experts. Michelle, our tour coordinator, was so articulate and very communicative. She speaks clearly. She is knowledgeable and proficient. She handled our group orderly and gracefully. That shows that the tour company’s tour specialists are highly trained experts. 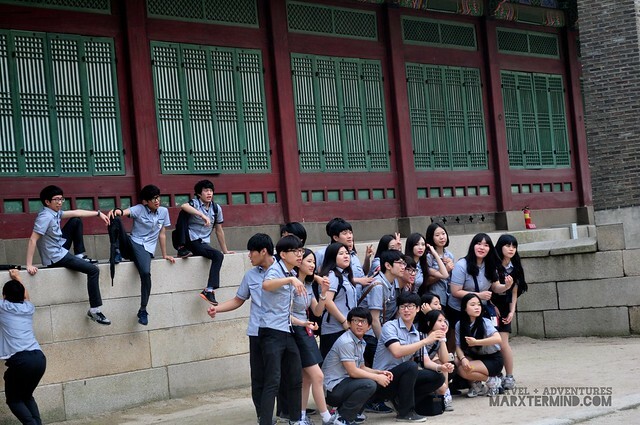 I highly recommend Seoul City Tour if you wish to join a group tour in Seoul. Please send my regards to Michelle for me when you have a chance to join a tour wherein she is the tour coordinator. 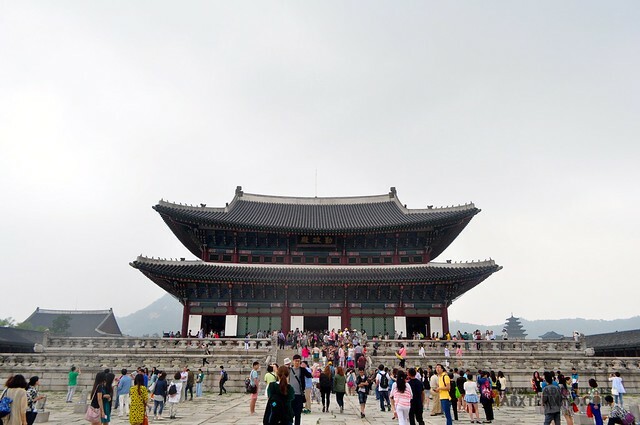 The agency is specialised in daily packages tours, arrangement of international convention tour programs, and private tours wherein the Full Day Palace Tour is the most famous. 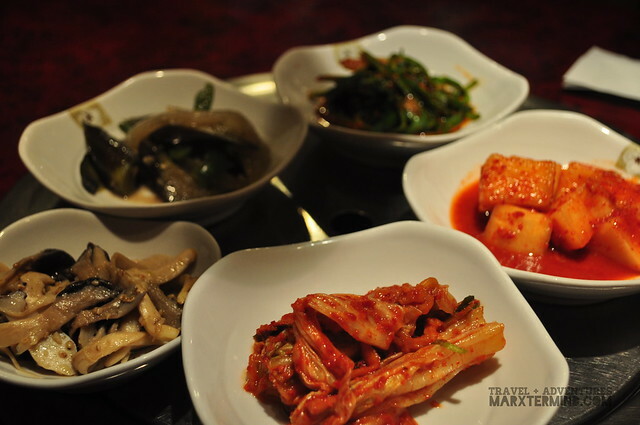 The tour costs KRW 76,000 per person, which includes lunch. The tour starts at 9:00 AM and normally ends at 4:00 PM. 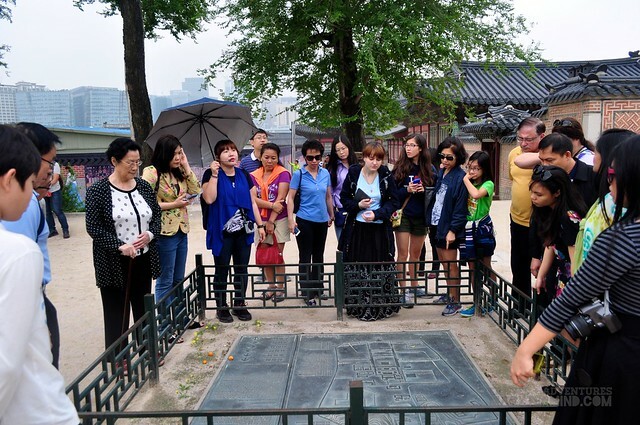 Thank you Seoul City Tour for letting me join one of your daily tours in Seoul.